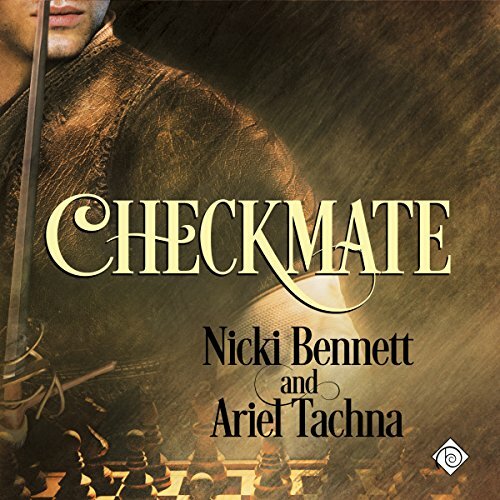 Showing results by author "Nicki Bennett"
When sword-for-hire Teodoro Ciéza de Vivar accepts a commission to "rescue" Lord Christian Blackwood from unsuitable influences, he has no idea he's landed himself in the middle of a plot to assassinate King Philip IV of Spain and blame the English ambassador for the deed. Nor does he expect the spoiled child he's sent to retrieve to be a handsome, engaging young man. Administrative assistant Jonah Hollis has nurtured a hopeless crush on his boss, millionaire cattle rancher Lincoln Courtwright, ever since he started working for him. But hope is kindled when Linc and beautiful rodeo star Melissa Cutler break up just weeks before the biggest event of the Dallas social season, the Cattle Baron's Ball, and Linc asks Jonah to accompany him in her place. Is it all a ploy to make Melissa jealous? Can Jonah fit into Linc's world? Find out. Aristide, Léandre, and Perrin pledge only three loyalties in life: their king, their captain, and their passion for each other. So when the musketeers discover a plan to accuse M. de Tréville of treason, their reactions vary from the desire to kill the messenger, Benoît, to the need to unmask the man behind the plot to discredit their captain. The first two suspects, the English ambassador and Cardinal Richelieu, prove to be innocent, and the musketeers are forced to delve deeper into the inner machinations of the French court.